We're pretty much obsessed with Chipotle, but waiting in the crazy lines that always seem to plague the chain? Not so much. Thankfully, they're now offering free delivery — here's everything you need to know. 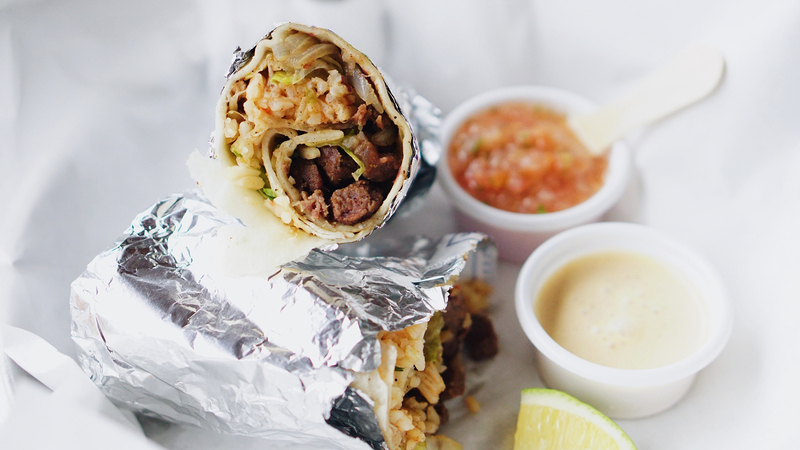 Previously, Chipotle has partnered with Postmates to offer delivery, but all that's changing. Now, DoorDash will be their preferred partner, and you can actually order right from Chipotle's website or app instead of having to rely on a third-party app. To celebrate, Chipotle is offering free delivery on orders of $10 or more according to a statement from the restaurant chain. You can customize your order on Chipotle's website or app, so you get exactly what you want (how 'bout a quesarito? Or this hack to double the size of your burrito for free? ), and you don't even have to worry about holding up the line while you decide what to put on your burrito or tacos. The only catch(es)? You have to order between Aug. 27 and Sept. 12, your order must be placed on the Chipotle website or app, and you have to make a $10 minimum purchase. Now that they've partnered with DoorDash, Chipotle is offering delivery at 1,800 different locations in 70 cities across the country, so chances are there's one near you. If not, never fear — you can always try these Chipotle copycat recipes to tide you over if leaving the house for a burrito is more than you can bear. Hey, we're not here to judge!